Intact windshields and auto accidents don't mix. If you have been involved in a fender bender and the windshield didn't survive the exchange we can help. 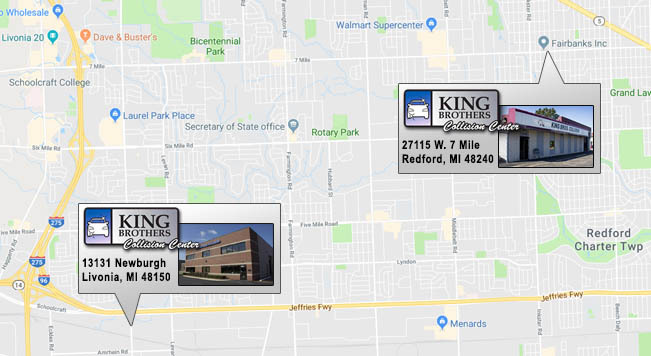 King Brothers Collision offers the best windshield repair and replacement services in Redford, Michigan. From small cracks and chip repairs to complete windshield replacement we can get you back on the road. We work with all insurances and will gladly help you through the process. Call today to let our professional and friendly staff fix all of your auto glass problems. Michigan Spring Cleaning - Don't Forget Your Car!